Wow, time is really flying by I realize now that I’m about to write a post about our long weekend in Bratislava. And that trip happened a week ago! As you may or may not know, we are very fond of the Slovak capital as that is where we met for the first time. I also think that it’s quite underestimated. It lies there, in the middle of Europe, and people have no idea about it. Today we came across a list that Swedish newspaper/tabloid Expressen had made for the best Christmas markets in Europe, and Bratislava was not in it. Silly stuff! Anyway, here’s more about our long weekend in Bratislava. All in all, we spent three nights and four days there. As we have lived in Bratislava, we might not be so much into the normal sightseeing that tourists do on their first visit. However, taking a stroll in the old town (staré miasto) is always a must – especially during this time of the year. The Christmas market opens in November and it takes over much of the historical city center. It’s the perfect place for enjoying traditional Slovak food and drink. We have been to quite a few Christmas markets in Europe and the one in Bratislava ranks very high on my list. It is much cheaper than the Christmas market in Budapest, and much cozier than the ones in Stockholm and Tallinn. One of the great things about Bratislava is the fact that there are plenty of places that serve delicious food and tasty drinks. On this trip I had to have some kapustnica (Slovak cabbage soup). It was not the only sauerkraut I had during this long weekend in Bratislava: at the Christmas market I also tried a lokša (potato pancaked) filled with sauerkraut. Delicious, I say. Bratislava is also a good place for shopping. There are many malls surrounding the city center and as always, we just had to visit one of the bookstores. And almost by accident, we also found a lot of shoes. Maybe the most important thing with Bratislava is the people. We still have friends there and it was really great to see some of them during our quick visit. A place changes quickly, it is the people who keep it the same as it used to be. It felt nice talking about the old times over a cup of mint tea. Another interesting attraction in Bratislava is the Blue Church. Located in the midst of a rather grey residential area in the outskirts of the Old Town, the church is a very colorful surprise. 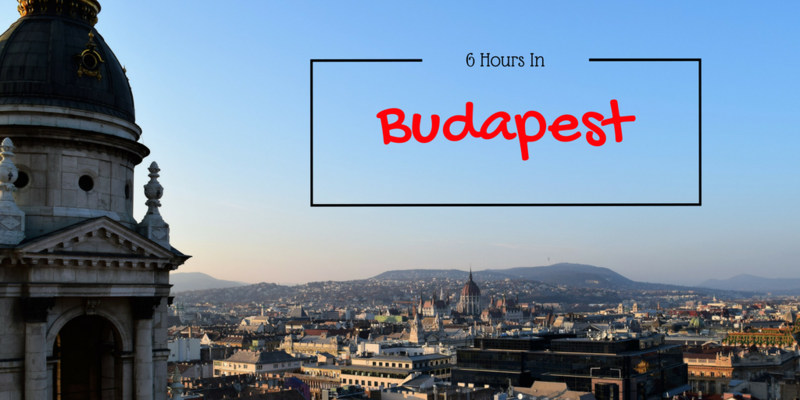 Of course, a period of three days (we did spend one of the four days in Budapest) is not enough at all when it comes to visiting a city that is so important to us. Fortunately, it is easy to go there. And we have people to visit as well. 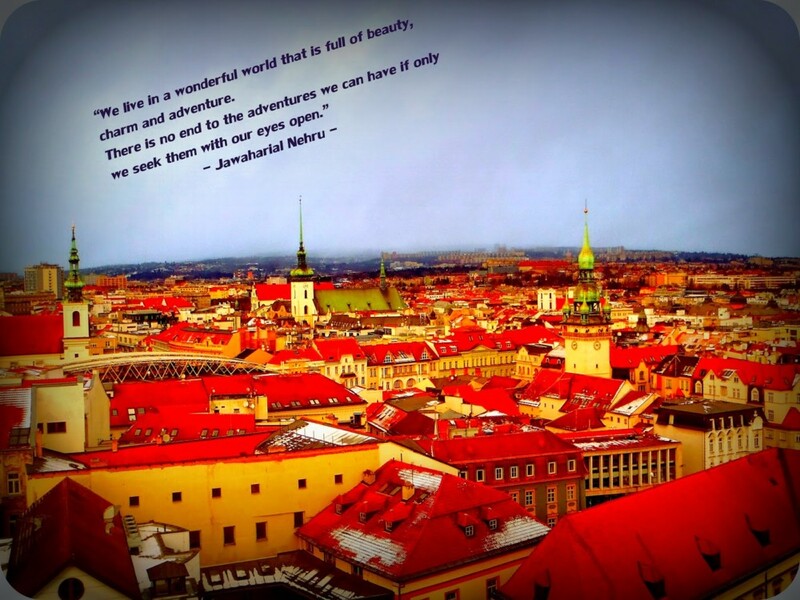 So, would you like to spend a long weekend in Bratislava? Getting there is quite easy. Bratislava has an airport, and Vienna Airport is only 40 kilometers away. There are frequent bus and train services connecting these two cities. Many people seem to go to Bratislava for a day trip only. It might be enough to see the city center, but there is so much more to see. And Slovakia is such a lovely country, I’d definitely recommend it to everyone. Such bright, lovely pictures! Never travelled to your side of the world, so thank you for taking me to a virtual tour! Beautiful views… I especially like the castle. There is something very cnematic about medieval European castles. Or may be I feel so because a lot of period films and serials are shot in such locations. I was in Bratislava last August and I regretted not having enough time. I also missed out on the Devin Castle and your pictures make me want to cry. But I am so glad to have read this and refreshed my memory! In a way it’s great that not too many people go to Bratislava, it’s vibe remains intact that way! Will definitely visit again! Lovely pictures and I can feel in love with all the street shops around the city! This place has been on my bucket list for long time but I always preferred to travel far away from home, anyway thanks for sharing your experience, I will keep in mind!! The Bratislava Christmas market looks excellent and those Loksa potato pancakes sound great filled with sourkraut. Devin castle seems cool as well, with the iron curtain plaque. I guess there are so many great European cities that Bratislava gets lost in the mix. Our friend went there recently and he loved it. I read your last post about the Christmas market and still find it amazing. The castle looked like it had some great views and that blue church is so beautiful! I have never seen a blue church before. Wow, Bratislava indeed is a hidden gem. I had never heard of this destination till I stumbled upon this blog. You are right, places are more special to us when they are a part of a special occasion of our lives. I have yet to visit a European Christmas Market. Will do that hopefully soon. I did a day tour to Bratislava from Vienna. I did some street walking and few monuments. Your post clearly shows what a lot I missed. The blue church is something I would have loved to see. There were some amazing statues there, could you spot them? What an interesting post. The Christmas market seems very interesting and the castle looked nice too. I didn’t realise it is so close to Vienna. If I’m in that part of the world, I would definitely pay a visit. I wish I could experience the Christmas market in Bratislava one day and try the cabbage soup. I have visited the Slovak capital before but it was in summer and I do remember that it took me only a day to visit all the tourist attractions. It’s quite a small but charming city. Wow Bratislava looks beautiful! I’ve been meaning to visit for a while, the markets are so cute and I love that castle too. All your pictures are wonderful! I didn’t know that Bratislava had Christmas Markets! I know where I am going next year! 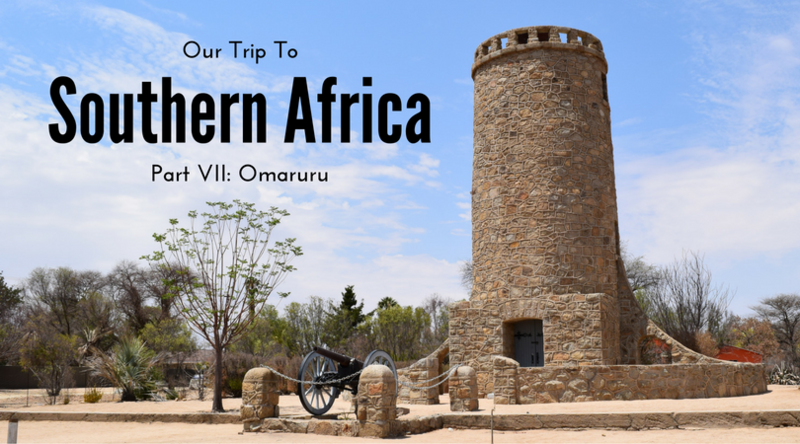 Previous post Southern Africa, Part XXIV – Good Bye Africa!